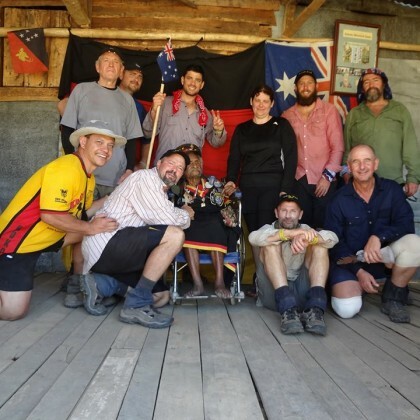 Choose the Kokoda trek package that’s right for you. View our 2019 & 2020 trek schedule, packages and prices. The Kokoda track was the setting for a famous event in Australian history, one which still resonates in the national consciousness today. 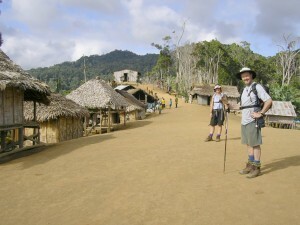 Kokoda Trekking organises and offers set trekking itineraries as well as custom made treks to satisfy your needs. 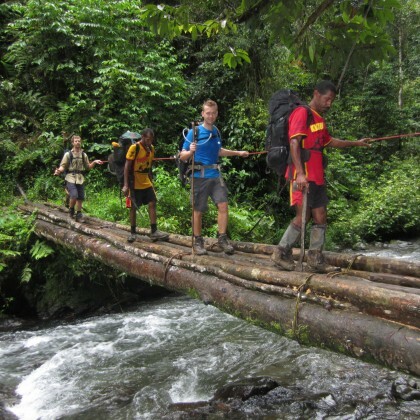 The Kokoda Trail is one of the world’s great treks, linking the southern and northern coast of Papua New Guinea, it is a challenge to be enjoyed by the fit bushwalker. 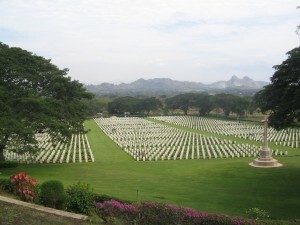 The Kokoda Trail and Sogeri area have a history of bitter fighting between Australian and Japanese armies during the early days of the war in the Pacific in World War II. 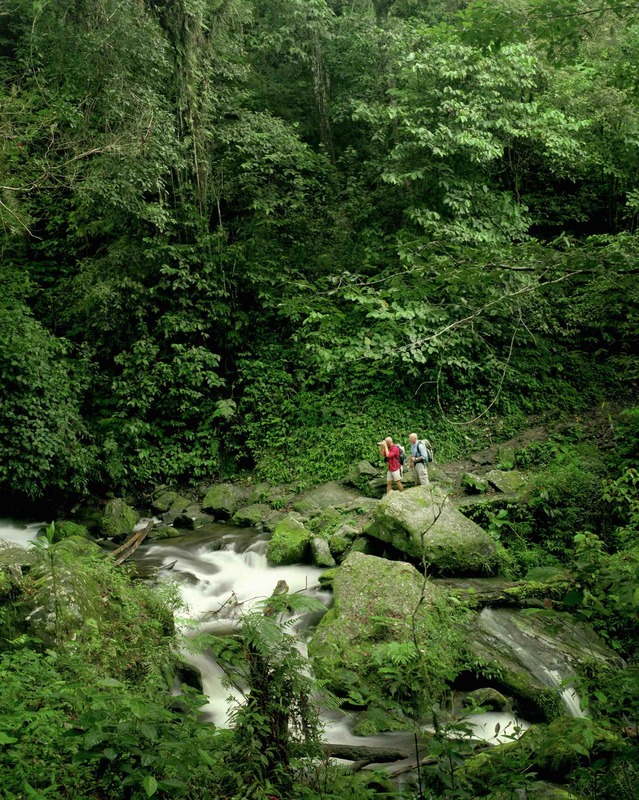 The 96 km Kokoda trail passes through rugged mountainous country of rainforest, jungles of fern, orchids, birds and clean mountain streams which tumble into steep valleys. 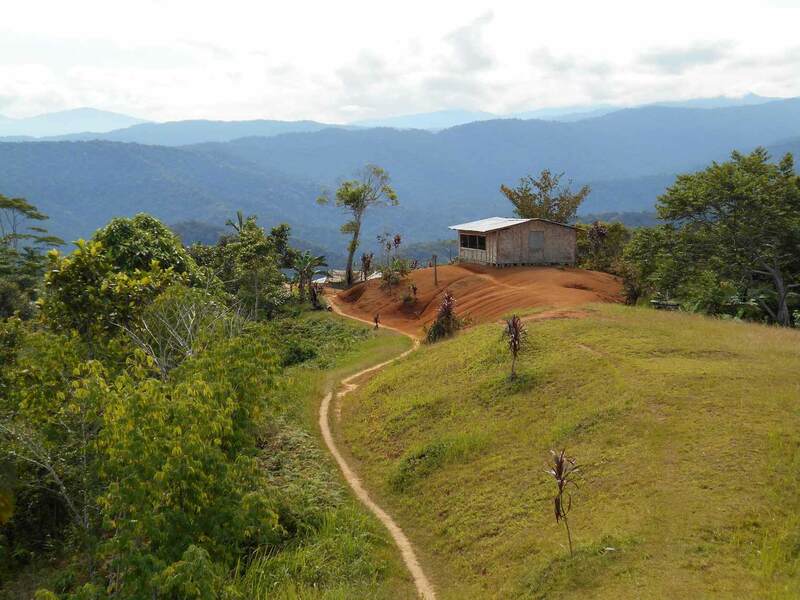 The unspoilt villages throughout the Kokoda Track will welcome you and the Koiari and Orokaiva people will greet you with smiles and tempt you with seasonal fruit and vegetables. Find my Trek Why choose us? Safety is our first priority. 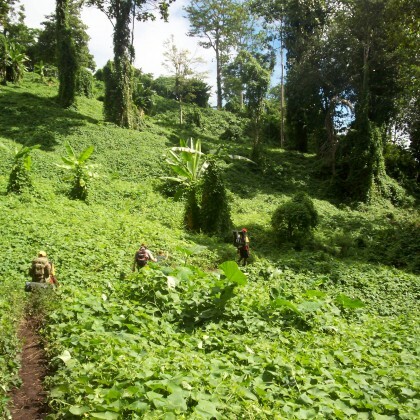 For more than seventeen years, we have operated the safest Kokoda Trail experience possible. 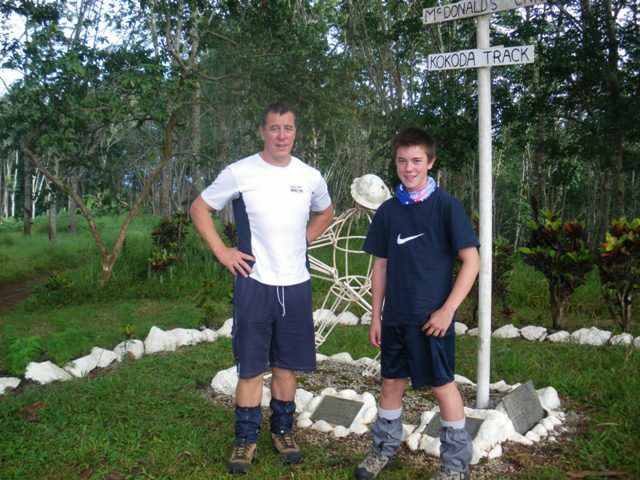 It is highly recommended you train hard prior to trekking the Kokoda Trail to make the experience more enjoyable. 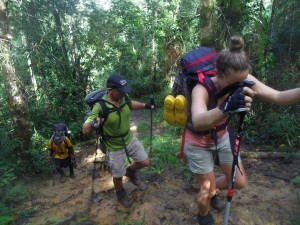 Kokoda Trekking offers a selection of trekking options that will accommodate your fitness level and length of time you have to spend. 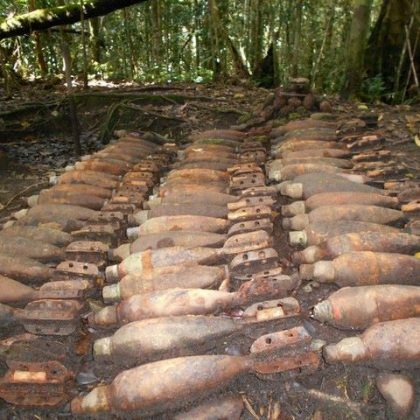 Our Kokoda experience and safety record are second to none. Learn why we are the company of choice for thousands of trekkers in Australia. "I am delighted that we chose to trek with you and your team. While the ability to run a well managed trek was important I believe that the way that you guys give back to the community and include the locals in your operations makes a unique difference to the whole experience. I felt like I was being included in the history of the trail rather than just observing it as a visitor." "Thanks for a memorable journey. The style of trek that you offer was just what I was seeking and I am already singing your praises here in Brisbane – hopefully more business will come your way." "Everything was organised and very well planned and we wouldn’t even consider trekking with anyone else – we’ve done it twice with them so they must have been good! The porters are the most wonderful people, so genuinely wanting for you to succeed and doing whatever it takes so you make it." The Kokoda Trail was the scene of some of the bloodiest battles of World War II and still carries the scars of a fierce campaign. If you have further questions and would like further information you are encouraged to contact us or check out our forums. All the treks we create are guaranteed to depart, even with a minimum of one person, so you needn’t worry about last minute cancellations. Every year we are contacted by trekkers who have had their trek cancelled at short notice by other operators. Visit our trekking schedule for upcoming treks, taking into consideration we can create any date range to suit your needs seven days a week commencing in either direction as we are PNG-based. 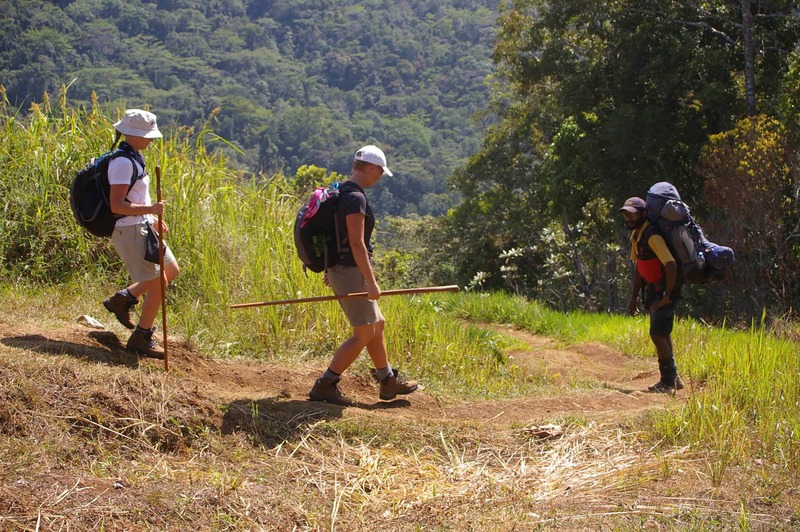 Kokoda Trekking offers a selection of trekking options that will accommodate your fitness level and the length of time you have to spend. With packages of six days or longer, we will get you in there, boots and all! We employ local guides to provide you with a rich cultural as well as an historical experience. We also offer Australian guided treks on a monthly basis at very competitive pricing. 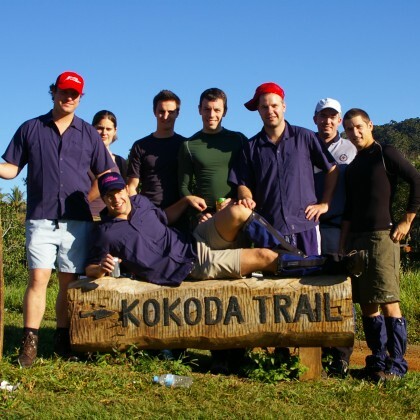 In the past seventeen years more than 6,000 trekkers have completed the Kokoda Track with us. A great number have returned to trek with us on multiple occasions. Many of our guides have been trained by Soc Kienzle who values sharing the history with the local guides. 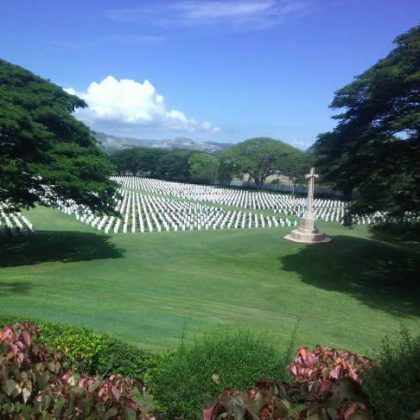 Soc’s father was the famous Bert Kienzle was considered the ‘architect of Kokoda’ and managed the Fuzzy Wuzzy Angels on behalf of the Australian Government during World War II. Our Trek Tracking system allows us to monitor our treks in real time. It also allows your friends and family to follow your progress in real-time using our smart tracking system and social media platforms. Picture your office colleagues enviously tracking your movements through the PNG jungle, wishing they too were enjoying the experience with you. Kokoda Trekking added 4 new photos.